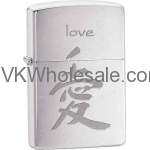 Minimum quantity for "Zippo Classic Chinese Symble for Love Brushed Chrome Z254" is 1. 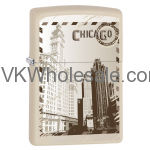 Minimum quantity for "Zippo Classic City of Chicago White Matte Z100 Windproof Flint Lighter" is 1. 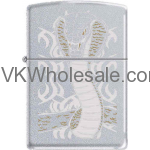 Minimum quantity for "Zippo Classic Cobra Tattoo Satin Chrome Windproof Lighter Z270" is 1. Minimum quantity for "Zippo Classic Cobra Tattoo Satin Chrome Z270" is 1. 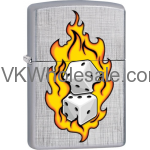 Minimum quantity for "Zippo Classic Dice High Polish Chrome Z209" is 1. 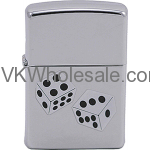 Minimum quantity for "Zippo Classic Dice Line Weave Brushed Chrome Z206" is 1. 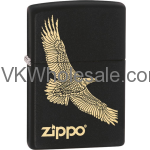 Minimum quantity for "Zippo Classic Eagle Black Matte Z271" is 1. 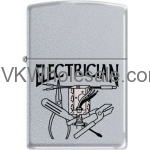 Minimum quantity for "Zippo Classic Electrician Satin Chrome Z281" is 1. 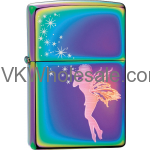 Minimum quantity for "Zippo Classic Fairy Spectrum Windproof Lighter Z256" is 1. 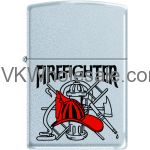 Minimum quantity for "Zippo Classic Fire Fighter Satin Chrome Z278" is 1. 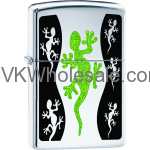 Minimum quantity for "Zippo Classic Gecko High Polish Chrome Z159" is 1. 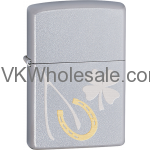 Minimum quantity for "Zippo Classic Good Luck Charms Lighter Z269" is 1.